I am a novice writer attempting my first novel. Can you give me any advice? To be honest, I’m not much of a fiction writer. I have lots of great plots, but sadly, my characters are lifeless. Are you personally acquainted with any spirits? Natch. I’ve gotten to know Jack Daniels quite well over the years. I’m also acquainted with Johnny Walker (…deadly for long spells, frankly my dear). Whatever shall I do? My eighty year old father has just been arrested for exposing himself – do you think they can make it stick? Couldn’t say for sure. I once knew a ghost who was caught flashing, but they couldn’t pin anything on him. I’m a firm believer in the Occult and participate regularly in séances. Are you a medium? Nope, I’m a large. Especially where it counts, hon. Do you actually get all this ridiculous mail, or do you make it up yourself? Of course I don’t make it up! I have a ghostwriter. 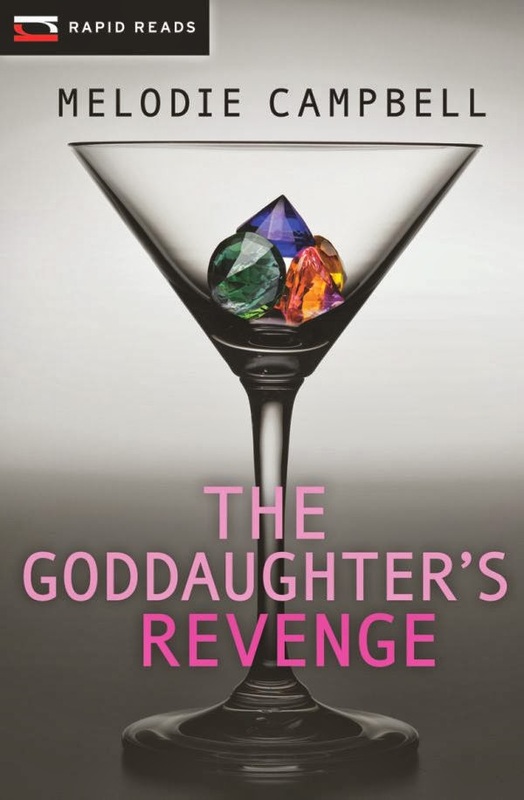 Melodie Campbell writes funny books, like THE GODDAUGHTER’S REVENGE. You can find them at Chapters and online at Amazon and most other retailers. Something went very wrong in my life several years ago: I married a hoarder. Our basement is a serious hazard. Experienced tracking dogs could get lost in there. Entire families have been known to disappear down the stairs without a trace, only to reappear days later with enough furnishings to equip a three-bedroom townhouse. 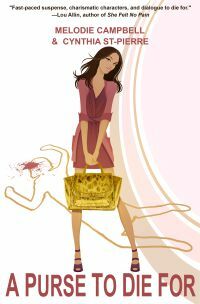 A PURSE TO DIE FOR will soon be available on iTune, Kobo and Nook! You can preorder for the one-time SALE price of .99! Here are the links. On Dec. 7, the book will be $3.99. So get yourself a bargain by preordering today! Top 100 Mystery, Amazon.com, Jan. 2013! With help from her cousin Tony and Detective Rob Dumont, Gina investigates the not-so-model citizens around her. When another murder occurs, a pattern slowly emerges. Did Gina's grandmother die naturally—or were there really three murders? What’s more treacherous than navigating a pack of society matrons at a designer sale? Have you ever wondered how close to the truth we fiction writers get when writing about the mob? Yes, I write screwball comedy capers. Still, I had to wait until certain relatives died before writing The Goddaughter series. Three sizes of clothes were in that closet. Three. Sizes one and two (not their real names) were obviously made in China, where voluptuous is a concept rarely understood. 2. One not horrible silk kimono tunic top. Cost the earth (meaning more than 50 bucks.) The current ‘go-to’ favourite for book signings. (Now, the only choice for book signings.) Also blue. Seeing a trend here. 4. My funeral dress. Black. Shapeless. I was hoping it didn’t fit. Wish it were blue. It looks lonely in there. Think I better empty the dresser drawers and hang up some sweaters. And maybe a yoga pant or two. Bras? The hang in stores, don’t they? Do cotton nightgowns count? My wife can't go a day without playing bingo. What's your impression of a woman like that? Sorry, I don't do impressions. This is an advice column. My husband works shifts and comes home so tired he can barely carry on a conversation. How can I keep him from falling asleep on me? Are you busy this weekend? Party at my house - I finally got rid of my parents! That's nice. Did you manage to make it look like an accident? My mother and I read your advice column every month and we are appalled by the ridiculous advice you give. In fact, we can't believe you actually get paid to produce this kind of trashy garbage on a regular basis. Wait a sec...you mean they're supposed to pay ME? Morticia will return to these pages if somebody doesn't kill her off first. 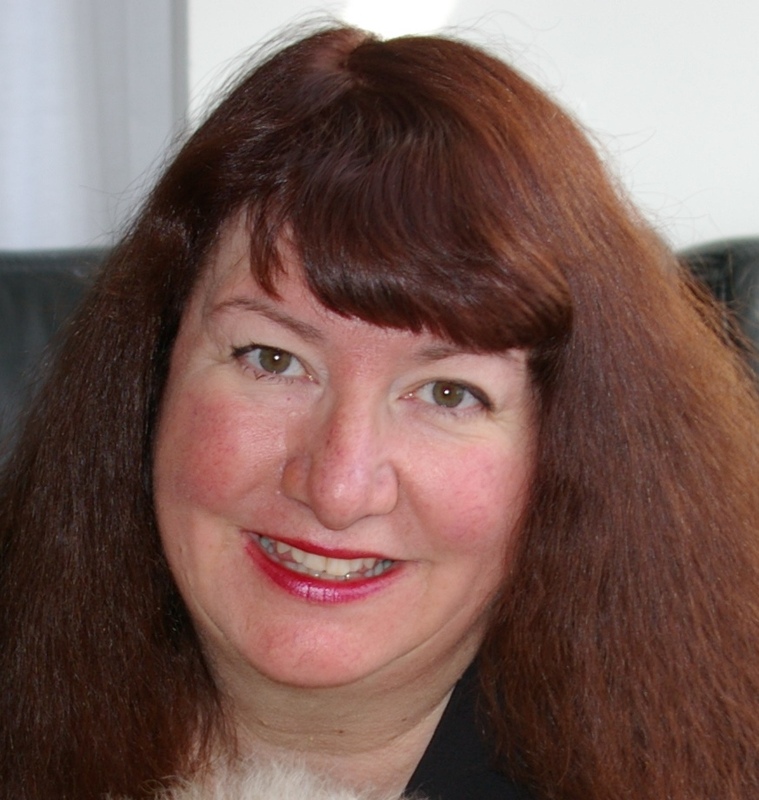 Melodie Campbell writes funny books. You can buy them at Chapters and Amazon. The Goddaughter’s Revenge now available. First published in The Globe and Mail. Reprinted with permission. I’ve always been a curvy girl. Even in youth, I had more in common with Sophia than Twiggy, and towards the end of the last decade, I was definitely in the Marilyn class. But lately, there has been a slight shifting of the curves…a lower European drop, so to speak. The crisis came last January, when the sweet little store Clerkette asked me when I was ‘due’. For the record, I was done long ago. It was obvious: this couldn’t go on. This former beach babe was on track to becoming a beach ball. Badly needed was a swift revision of the current eating strategy, which involved stuffing in as much as possible in order to avoid the famine that might just come in the next seven hundred years or so. First, I tried Weight Watchers. Nice people and sound advice, but all the ‘counting’ had me thinking about food every hour. I fetished over fruitcake. I don’t even like fruitcake. This was not for me. In desperation, I turned to television. Prepackaged food plans are all the rage on cable: “Look at me! I’m a Grandmother, and love prancing around in a bikini again…” Hey, that annoying person could be me, back in a size 2! I was a size 2 in grade four. There had to be a sensible way of eating for life, that didn’t involve wacky obsessions. Which got me thinking… thin people are thin because of how they eat. And if I watched them carefully and copied them religiously, surely I would be thin in time, too? Brilliant, I thought! Piece of cake, I thought! Why do all my idioms involve food? I went in search of a role model. Dianne came to mind, a tall blonde colleague, willowy slim. She once told me that she hadn’t had butter in over 15 years. I remembered a conversation we had during a conference. It was one-thirty, lunchtime had come and gone, and I was ravenous. Leather portfolios were starting to look tasty. We went down to the cafeteria. I had a chicken salad sandwich with mayo and fries. Dianne had a bowl of clear chicken soup with 4 soda crackers. "Oh, that was good,” she said. “I’m stuffed.” And she didn’t eat anything more until dinner at seven, when she had a large salad with no dressing. Soup is the answer, no question. I shall have a bowl of soup every day for lunch and not eat anything else until dinner. I shall be as slim as Dianne, eventually. Who needs crackers? 7 a.m.: I hate breakfast in the early morning. Dianne never eats breakfast. Coffee with milk (yuck) instead of cream and out the door. 10 a.m.: In a meeting. Will she ever shut up? Somebody pass the muffins. They’re pigs at that end of the table – pigs! Oh yeah – I can’t have one. I’m being good. 12 noon: Soup! I’m having soup and it’s really good. Salty. Chickeny. It’s gone. That was quick. I’m feeling righteous. This can work, I think. 1 p.m.: Ate the 4 crackers that came with the soup. 2 p.m.: Went searching for gum, breath mints, anything. 3 p.m.: Snuck somebody’s Diet Coke from the fridge. 4 p.m.: Screamed at my staff for talking. 5 p.m.: Sobbed quietly in the washroom. 6 p.m.: Raced home, setting new record. Chewed all five pieces of sugarless gum left in the package, while shifting gears. 7 p.m.: Ate salad of spinach, romaine, tomato, 1 egg, 1-ounce low-fat cheese, no dressing, while family munched leftover lasagna and trifle. 8 p.m.: Yelled at the kids for talking. 9 p.m.: Looked for snack. Surely thin people have a snack before bed? All that Easter chocolate hanging around. What would a thin person eat? Probably just one piece, and it would be dark chocolate for sure. I broke off a small piece of bunny and swilled it down with skim milk. 2 a.m.: Dreamt about food. Glorious food. Roast beef with Yorkshire, macaroni and cheese, cocktail parties with canapé. Dianne was stuffing her face with Brie. 4 a.m.: Got up and ate the rest of the chocolate bunny. I’ve learned two things from my day of eating like a thin person. I will never be tall and blonde and thin. When you’re starving, toothpaste can be a food group. Tomorrow is a new day and I am trying a new approach: eat like two thin people. Melodie Campbell writes funny books. The Goddaughter's Revenge is now available at Chapters, Barnes&Noble and Amazon.